Squint Opera were approached to help launch a new city living precinct in Collins Street Melbourne (next to Southern Cross Station) Melbourne Quarter is a brand-new city block, a vision for the city offering a next generation commercial centre, enticing retail, and an exceptional collection of residential apartments. Our collective goal (MQ, Squint Opera and Objective3D Direct Manufacturing) was to show MQ’s realtionship to Melbourne – physically in the form of a 3D model but also dynamically with Dave Mackenzie’s interactive graphical light show. 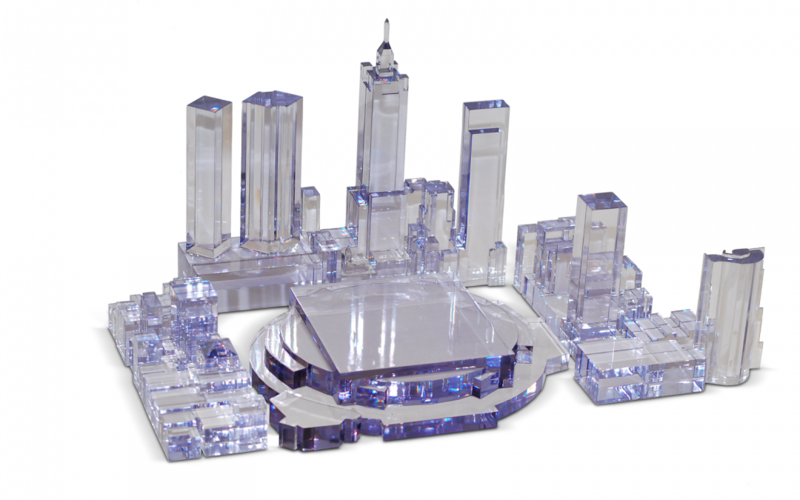 The stylized Melbourne cityscape was manufactured from acrylic (CNC machined) and polished. The MQ precinct was 3D printed using one of our large format Polyjet systems in VeroClear material. 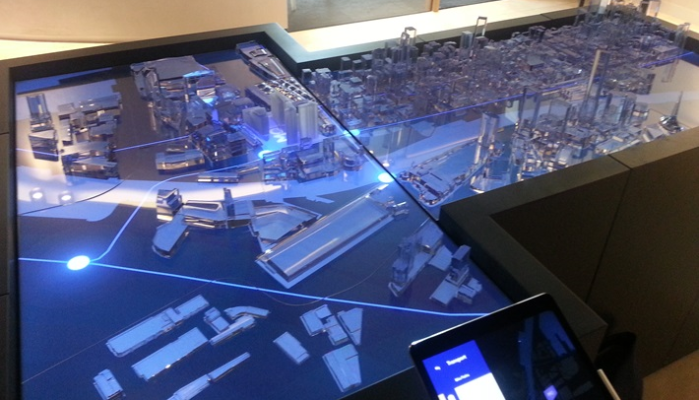 The entire model sits atop of 2 large flat screen monitors – connected to an interactive iPad. Years to plan, months to conceptualize and only days to manufacture.